Amir Khan knows he can't lose focus against WBO welterweight champion Terence Crawford when they fight later this month. Amir Khan knows if he loses focus against Terence Crawford, even for a split second, the way he did against Samuel Vargas – the consequences could be dire. 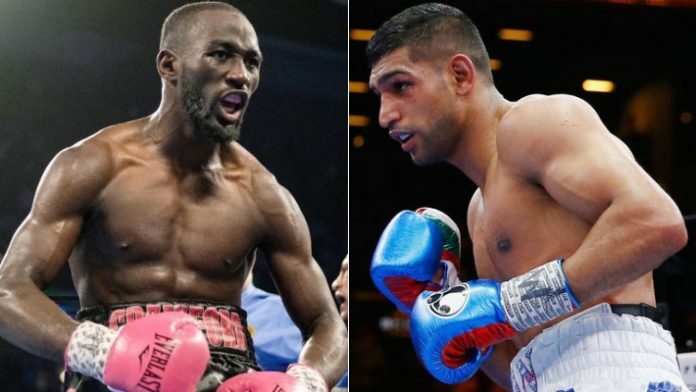 Khan will challenge for Crawford’s WBO welterweight championship on April 20 from Madison Square Garden. However, this time, he’ll be more locked in than he was against Vargas in his last outing. The Englishman got a little too comfortable after knocking Vargas down in the second round of their fight in September. Vargas caught Khan with his guard down and planted him on the canvas himself. Luckily for Khan, he pulled off the unanimous decision win when it was all said and done. “That’s the only time I really lost focus in the fight,” Khan said. “In the fight, I put him down and I was winning the fight quite easily. And, you know, you take your eye off the game, I stood still and he caught me with a good shot over the top and put me down. “Sometimes you lose that focus and things like that can happen. I know that against a guy like Crawford I can’t lose my focus one bit because he’s really dangerous, he can hurt me and he can beat me. What do you think about the match-up between Khan and Crawford?